This about-face is a rare victory for advocates, who have grown accustomed to prison authorities using vague “security concerns” to justify arbitrary restrictions and demeaning procedures. Many facilities bar visitors from wearing an underwire bra. 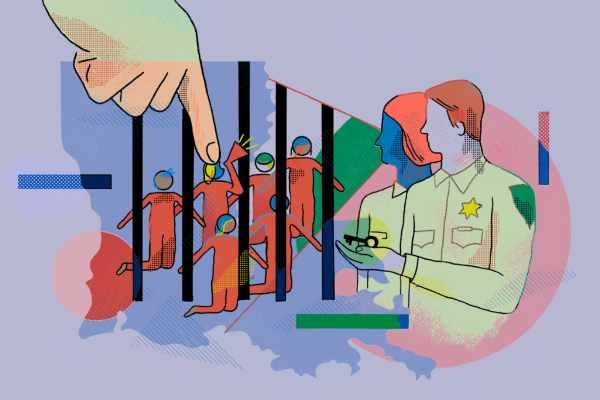 A former public defender told the Daily Appeal that one jail she used to visit wouldn’t allow highlighters. Another facility wouldn’t allow watches, even for lawyers, which, the attorney told us, “was awesome for time management.” Many federal facilities will not allow staples, requiring attorneys to remove every staple from every file. Several prisons in Indiana would not allow visitors to bring coats or jackets in, even in the winter. One jail banned nonlegal reading materials, so the former defense attorney would print New Yorker articles out and smuggle them in, to have something to read while she waited to see her clients. Many facilities across the country have cited security concerns in halting in-person visits altogether.